Treat yourself to the ultimate once-in-a-life experience with our exceptional All-Inclusive escape to the Maldives. 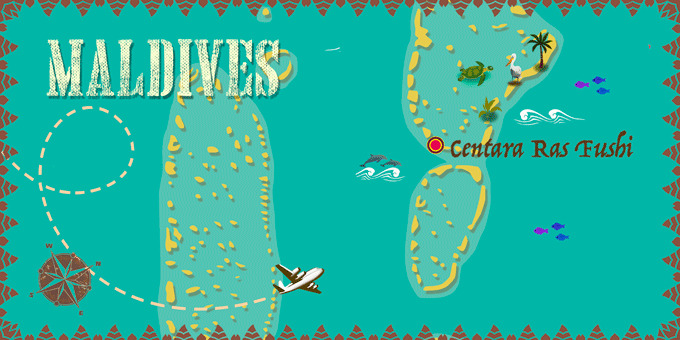 Arrive at your grand luxury resort by Sea Plane, admiring the tiny atolls below you. Soak up the tranquillity of one of the most beautiful parts of the world as you relax at your leisure, stroll on the white sand and swim in the abundant Indian Ocean. A true slice of paradise! International flights: UK - Male - UK. * All-Inclusive includes: Breakfast, lunch & dinner at Korakali. $45 credit for person (over 12 years old) to use at Raakani restaurant for dinner. Beverages: 'all-inclusive beverage' menu includes a selection of house pouring brands of wine (red, white & sparkling), spirits, selected cocktails, mocktails & beers. Available at Korakali & Raakani restaurants are meal time and at the Fani Handhi Bar from 10 am - midnight. Still & sparkling Fushifaru filtered water is available free of charge. Arrive at your UK departure airport, ready for a flight to the Maldives. Night on board. Arrive in Male, the capital of the Maldives and transfer by Sea Plane to the hotel, flying over tiny idyllic islands, turquoise ocean and admiring the captivating views; a truly memorable experience. Arrive at the hotel to begin your stay on an All-Inclusive basis. Spend the day at your leisure and take the opportunity to discover the local market or simply unwind with a beachside massage. Overnight in the Maldives. All-Inclusive. Immerse yourself in the sea life of the Indian Ocean by snorkelling or, better yet, we recommend taking a submarine tour of the vibrant waters. Overnight in the Maldives. All-Inclusive. Spend another relaxing day in paradise, relaxing on the beach or treating yourself to an indulgent massage. Overnight stay in the Maldives. Breakfast at the hotel. 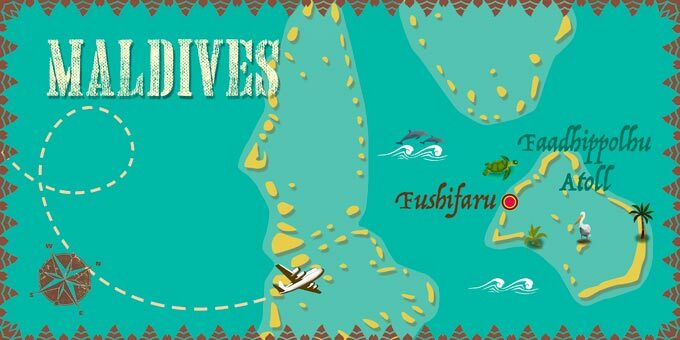 At the indicated time transfer by Sea Plane back to the airport in Male for your return flight back to the UK. Night on board. All-Inclusive includes: Breakfast, lunch & dinner at Korakali. All-Inclusive. Spend another relaxing day in paradise. Enjoy the laid-back atmosphere and beautiful surroundings. Overnight in the Maldives. All-Inclusive. Spend another relaxing day in paradise. Overnight in the Maldives.